Popular Banquet Halls in Andheri - Mumbai That Are Breathtakingly Gorgeous! Andheri in Mumbai is the central industrial hub and one of the most conveniently located areas, close to the national and international airport and other transport hubs. With the introduction of the first metro, between the western and central line, Andheri becomes all the more favourable when it comes to choosing the ultimate wedding venue. Whether you live in South Mumbai or toward Thane, Andheri offers a mid-point for wedding guests travelling for your event from all different directions. Given that Andheri is a significant suburb with a concentration of studios, business parks, eateries, shopping, celebrities and much else that this mega metropolis has to offer, it is also interesting choice for those of you who have a large guest list of outstation guests. Several top wedding venues in Andheri also offer stay options making it a favourable choice for you and your wedding guests. From AC Banquets to five star hotels, sports complexes and more, Andheri offers you are a variety of options in all budget ranges. Wedding venues as we know, can make or break a wedding, therefore selecting one keeping in mind proximity, convenience and comfort is crucial. So this week we focus on some of the best and most popular banquet hall in Andheri, Mumbai, that are not only high-class in service, but are breathtakingly gorgeous too. Have a look and don’t forget to holler if you need any help! This is where every event you celebrate becomes an extraordinary one. The Club is one such gem hidden in the hub of the city of Mumbai, which offers some of the exquisite wedding banquet halls in Andheri that will surely leave you spell bound. Whether it’s a close and elegant sangeet or mehndi party that you want to host, or a large size wedding reception, The Club has got your back. For the big fat Indian kind of wedding their wedding lawn is the best of the lot. 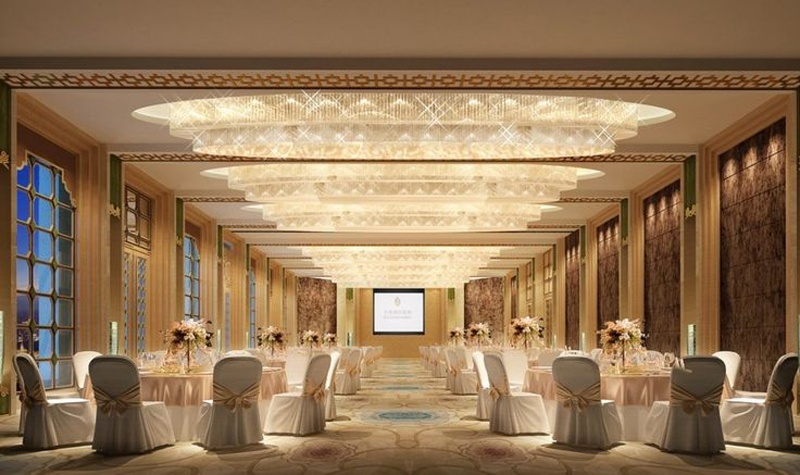 With banquet halls so tastefully designed, you might want to celebrate your union indoors. Their in-house decorators, culinary experts and wedding planners make sure each element in your festivity is up to mark. 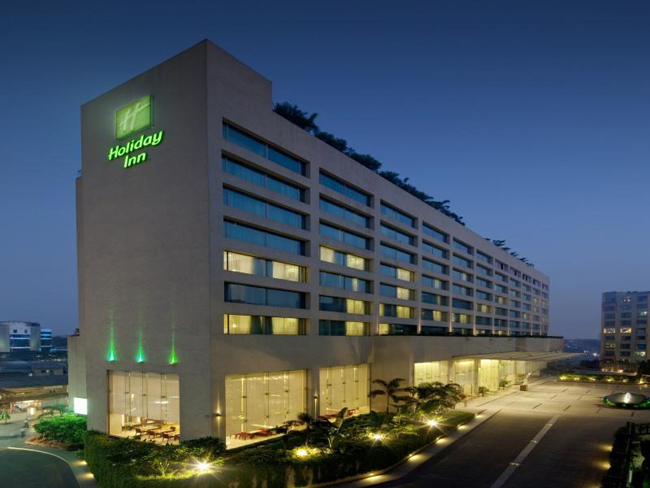 Holiday Inn is of the finest luxury wedding hotels in Mumbai that is proximately connected to all transport hubs making accessibility hop, skip and jump away. This is the major reason why finding availability at this venue is a little difficult. Majestic banquet halls of this Andheri hotel are simply breathtaking. Well carpeted flooring, state of the art lighting, opulent chandeliers and aesthetically designed interiors, welcome you at this hotel. With interiors so perfect there is very little room for décor, but fine addition of flowers can do no harm to uplift the mood. If you want to party outdoors, their terrace venue fulfils your wedding fantasy, where your guests can enjoy an alfresco dinner setting. Their top-class wedding planning team will look after all your needs to the T.
Luxury meets convenience at the Courtyard by Mariott simply because it is located in the central hub of Andheri. This new property has all the latest amenities to make your wedding an unforgettable memory. Modernistic lighting, stylish chandeliers and elegant interiors give your event that luxurious feel it deserves. Choose from their multiple banquet halls, each one is better than the rest that you will be spoilt for choice. From your walk down the aisle until your vidaai, their proficient staff ensures that it is one smooth sailing celebration. Location: CTS 215, Opposite Sangam BIG Cinemas, Andheri Kurla Road, Andheri East, Mumbai, 400059. Located amidst the busiest industrial centre of Andheri, Kohinoor Continental is indeed a ‘kohinoor’ as the name suggests if you’re looking for extra ordinary banquet halls in Andheri. A swirling staircase lead you to the banqueting space, which is more than enough to create a lasting impact for your guests who will be attending your grand celebration. This venue is fully equipped to make arrangements for your festivity requirements. In-house decorators do a fab job in beautifying the space just to your liking with artistic touch to it that completely transforms the space. Lip-smacking delectable prepared by its expert chef is another plus point of booking this venue. If having a wedding on a budget, Mumbai has the perfect choices of banquet hall in Andheri for that too, with The Flags being one of them. Offering simplistically designed wedding venues; The Flags has got you covered for both pre-wedding and wedding celebrations. Their in-house decorators however transform the entire space beyond imagination with their skilful creativity. In addition to large and spacious banquet halls, The Flags has a terrace venue should you need to take your celebration outdoors. Their culinary experts are specialists in arranging a multi-cuisine menu, which you can personalize as per your taste preferences. Offering perfect choices of indoor and outdoor wedding venues, Goldfinch in Andheri is an ideal location to host your wedding celebration in the most unique way possible. If you wish to have a traditional celebration their banquet hall that is decorated in earthy tones can very well compliment your needs. But, if outdoor wedding is on your mind, better yet a poolside party, their terrace venue is simply flawless as it features an upper and lower deck, a sparkling pool and a lush garden area. Mind blowing isn’t it?! This 4-star hotel is one of the most sought-after banquet halls in Andheri merely because of its easy accessibility and excellent staff service. With multiple banquet halls to choose from, this wedding hotel is your dream venue if you need to host an intimate pre-wedding or large capacity reception. Vintage interiors are the highlight of the venue, which give you the freedom to play under toning your décor or go all out with contemporary settings. Their culinary experts are well-known for their spread of multi-cuisine delectable they prepare, which can satiate diverse taste palate of your guests. A wedding venue that will make you go from ‘wow’ to ‘OMG’, Siddhath Banquet hall in Andheri is your dream come true kind of venue. The hotel can comfortably accommodate over 1000 guests, which makes it a perfect venue to host your big fat Indian wedding. Their in-house decorators deck the venue with jaw-dropping elements. Crystals, flowers, contemporary centrepieces or classy chandeliers, you name it and they will have it incorporated in your décor. It doesn’t stop just at that, their expert chefs are renowned to customize wedding menus and prepare delectable that will be the talk of the town for days to come. Offering an 8,000 sq. ft. banquet hall in Andheri, Grande Imperial Banquet is one of the most sophisticated budgeted wedding banquet halls you can come across in Mumbai. Since the venue is strategically located at the ground floor, it makes it convenient for elderly guests attending your celebration to access the venue. In addition to its posh interiors, the star highlight of this venue is its skilled culinary team that can dish up pre-set menus, multi-cuisine dinners, live counters and more. As food is one of the major components of any wedding celebration, Grande Imperial Banquets knows just how to please your guests, so that you celebration is an instant hit! One of the finest 5-star hotels in Mumbai, The Leela opens its Grand Ballroom to host big fat Indian weddings that deserve the exuberance, luxury and grandeur they’re meant to be celebrated with. From patterned carpeting to Murano chandeliers, the fine details in the ballroom interiors will certainly make you skip a heartbeat. Their décor, F&B team, as well as event planning staff are by your side right from conceptualising to execution and thereafter ensuring all your crucial to petty requirements are met with excellence. Didn’t find what you’re looking for? Find a banquet hall in Andheri that matches your preferences and budget here.